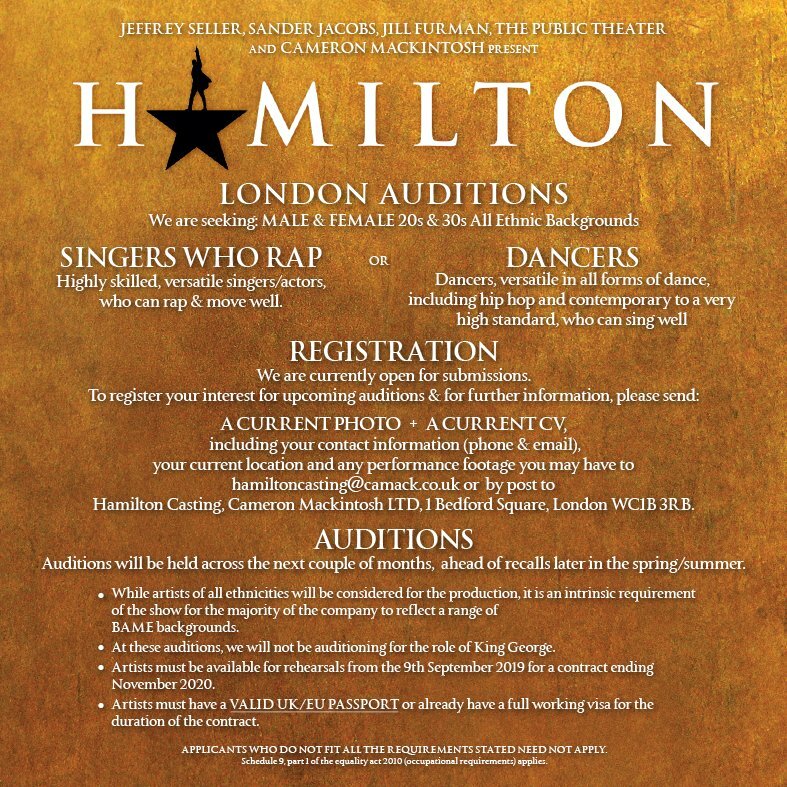 The West End production of Lin-Manuel Miranda's musical Hamilton has just announced open auditions. 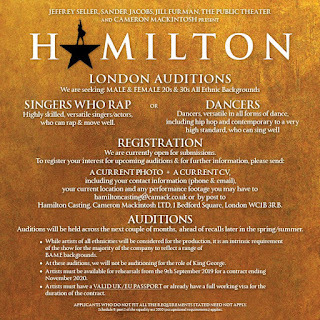 You are requested to register by sending a current photo, showreel and CV to hamiltoncasting@camack.co.uk or by post. 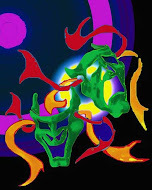 Auditions will be held over the next few months with recalls in the spring/summer. They are looking for males and females in their 20s and 30s from all ethnic backgrounds as well as singers who can rap or hip-hop dancers, with rehearsals starting in September 2019 and the contract ending November 2020. Reflecting Miranda's core requirement for the cast of the show to be ethnically diverse, the audition notice says: While artists of all ethnicities will be considered for the production, it is an intrinsic requirement of the show for the majority of the company to reflect a range of BAME backgrounds.